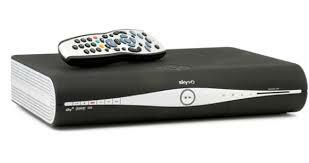 Sky has recently become Europe’s leading home entertainment and communications provider with around 21m customers. Last year they expanded their operation by buying the entire stake of Sky Italia and also a 57.4% interest in Sky Deutschland from Rupert Murdoch's 21st Century Fox. Earlier in the year, the Premier league rights auction was concluded. Sky secured the majority of the games, including the all-important Sunday afternoon slot, but at higher than expected cost. The group will now pay £1.4bn per season, 69% more than last time around, equating to an additional £630m per annum. Some of these additional costs will be covered by an increase in subscriptions and some by efficiency savings. At this point last year, the figures were very impressive - revenues up 7%, profits up 9% and earnings up 18%. As the company has grown, so have profits and dividends for shareholders. The full year results announced today show that the growth continues with adjusted revenues up a further 5% to £11.3bn. Profits are up 6% at £1.2bn however adjusted earnings per share are down 2% to 56p. The board are proposing a final dividend of 20.5p (2014 20p) making a total of 32.8p for the full year - increase of just 2.5% covered 1.7x adjusted earnings. It feels like shareholders are bearing some of the pain to cover the huge spend for football rights. However the dividend has doubled over the past 7 years. "The past 12 months have been an outstanding period of growth for Sky. We've successfully completed a deal that has transformed the size and scale of opportunity for the business whilst delivering an excellent financial and operational performance as more customers chose Sky and took more of our products. It's clear that the steps we have taken to broaden out our business are paying off. By distributing our content over multiple platforms and launching new products and services, we are now able to offer something for every household. The strength of the customer response is evident in our results: across the group, we added almost one million new customers over the year, 45% more than the prior year. Our operating momentum delivered a 5% increase in revenues which combined with a relentless focus on costs to achieve an 18% increase in operating profit. This was an excellent performance in a year of such change for the business". Group free cash flow increased year on year by 20% to £1,060m (2014: £885m) while net debt increased to £5bn (2014: £1.2bn) as a result of the acquisition of Sky Deutschland and Sky Italia in November 2014. The results have received a luke warm reception from Mr Market and in early trading the share price is up ~2% so far today at 1140p. The sp has had a decent run over the past 12m - up around 25% and well ahead of the FTSE 100. The lower than expected dividend increase combined with the share price increase has resulted in the current yield falling below 3%. 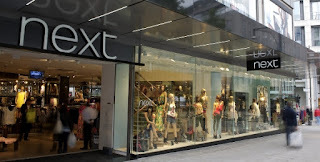 Just a quick update for this FTSE 100 retailer which was added to my portfolio in October 2013. They have today issued a trading statement covering the first 6m of the year (link via Investegate). Sales were up 3.3% which is slightly ahead of the guidance given in March of between 0% - 3%. Directory sales increased by 7.5%. As a result, the revised upper end guidance for profits has been lifted from 6.7% to 8.0%. The share price has seen a strong performance since the start of the year increasing 13% from £68.20 to £77 today. The company are expecting to provide a total return for shareholders of 13.4% over the full 12 months. The company have announced a further special dividend of 60p to be paid in November. I am happy with progress so far. More on this following the interim results scheduled for 10th September. 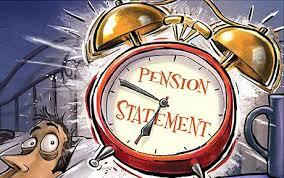 I am due to reach state pension age in a little under 3 years time so I requested a pension statement from DWP. It arrived this week. Based on my record to-date, it suggests I may get £140 per week as this is the higher of what I was originally due to get under the existing system. It includes extra amounts for serps entitlements. Under the new flat-rate pension, I would only be entitled to £125 p.w. as I have been contracted out for some of the time. The new flat-rate (so called) state pension is due to be introduced from 6th April 2016. It will only apply to those reaching pension age from this date - for men born after 5th April 1951 and women born after 5th April 1953 - therefore existing pensioners will remain in the old pension system. I included a chapter on these reforms in my book ‘DIY Pensions’. However at the time of publication, the reforms were just proposals and now they have become a reality, so it is possible to view the effects with a little more clarity. From April 2015 the basic state pension increased to just under £116 per week. Pensioners with limited or no savings may also be entitled to pension credit which is designed to guarantee a minimum pension income of currently £151.20 for a single person and £230.85 for a couple. Although pension credit is means tested, the basic state pension is not. Under the new flat rate pension, those who have not been contracted out and also have a full 35 yr NI record will receive the new pension of ~£151 per week - the precise amount will be announced later this year. Those who do not have a full NI record will receive a reduced pension. For example someone with only 25 yrs NI contributions would get £151 x 25/35 = £107.85 per week. As with the current system, people will have an opportunity to make up their NI record by purchasing ‘missing’ years. Contracting out (CO) was a system where employees gave up their right to additional state pension, firstly in the form or the state earnings related pension scheme (Serps) then from 2002 in the form of the state second pension (S2P). In return workers and their employers paid reduced national insurance. Until 1988 only those in defined benefit schemes could contract out, after that those in defined contribution schemes could too. Since 2012 only those in DB schemes have been allowed to be contracted out. Therefore not everyone with a 35 yr NI record will be entitled to the full flat-rate state pension. In fact, as most workers will have been CO at some point in their working lives, it follows that most people will not be entitled to the full £151 p.w. Government figures suggest around 4 out of 5 workers will have been CO at some point in their working life. Those workers who have at some point been contracted out will receive a reduced amount depending on the number of years they were CO. The formula for assessing the reduction is very complex. I have been CO for around 10 years in total however it was not clear from my own statement how the reduced figure of £125 was calculated. Many people approaching retirement may have built up significant additional entitlements via serps, S2P and graduated benefits. When these are added to the old basic state pension, these could exceed what they would get under the new system. It would be unfair if people were to lose out on these entitlements built up over many years. The state earnings-related pension scheme was introduced in 1978 and was designed to provide a top-up to the basic state pension. Employees who paid full Class 1 NICs between 1978 and 2002 earned a SERPS pension. Members of occupational pension schemes could be "contracted out" of SERPS by their employer, in which case they and the employer would pay reduced NI contributions, and they would earn virtually no SERPS pension. In 2002, Serps was replaced by S2P which would provide a more generous top-up pension for those on lower earnings. When introducing the new pension legislation, the government have tried to ensure that those retiring after April 2016 and who would therefore qualify for the new state pension will be no worse off than under the old system. The DWP will therefore do two calculations, looking at what you may have received under the old system and the new pension entitlement. Whichever comes out higher, known as the foundation amount, is what you would be entitled to. It appears the new flat-rate pensions are a bit of a misnomer - due to a number of factors such as NI years and periods of contracting out, most new pensioners will not receive the flat rate pension. It would also appear the new pensions may well be as complex and difficult to understand as the old system. "There is still substantial complexity and uncertainty in the system. Many are unsure what their state pension will be worth when they retire. This makes it more difficult for people to plan and save for their retirement. In a Department for Work and Pensions survey 71 per cent of people agreed that ‘sometimes pensions seem so complicated that I cannot really understand the best thing to do"
Personally, I will not be affected by the new pension provisions. Although I will reach the state pension age after April 2016, it looks like I will still roughly receive the pension I always expected. All of the pension benefits built up during the years when I was contracted out, were consolidated into my SIPP and I have taken benefits from this for the past 3 years via drawdown. There will however be many expecting to receive the widely-touted flat rate pension of £8,000 from next April who are likely to be disappointed as they will receive quite a bit less than this amount. It will be worthwhile finding out what you will be entitled to by requesting a state pension statement from the DWP. 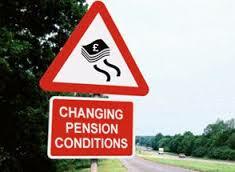 What do you think about the new pensions - will you be affected? Leave a comment below. Capita Registrars have recently issued their report for the second quarter of 2015. The report compares dividends paid by UK companies and also looks at predictions for the coming year. Underlying dividends (excluding specials) rose to an all time quarterly high of £28.3bn - an increase of 12.7% compared to the same period last year and representing the highest of any quarter previously recorded - quite a stat. This increase is partly due to a weaker GBP v USD which contributed 3% or £800m to the total. 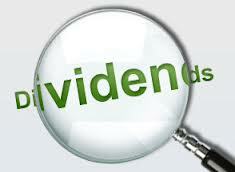 The FTSE 250 companies provided the strongest uplift in dividends since 2010 - 26.1%. Capita are forecasting underlying dividends of £84.8bn for the full year - an increase of 7.2% compared to 2014. They were forecasting 5.7% at the start of the year so this is a welcome revision for the income investor and more in line with my own shares portfolio projections of ~8% in March..
Just under 90% of dividends derive from FTSE 100 companies, in fact 33% come from just 5 dividend stalwarts - Shell, Br. American Tobacco, HSBC, BP and GlaxoSmithKline. For those seeking to maximise income and who are prepared to ride out extra volatility, it appears that equities are still the place to be with steady yields of ~4.0% from the FTSE forecast for the coming year. The margin over bonds has however reduced in the past 3 months as 10 year gilt yields have increased to ~2.0% from just 1.5% previously but still below the 3% just 18m back. Returns from cash savings remains flat at 1.5%. Most of us are never likely to become the next Warren Buffett or Neil Woodford but that will not stop some from attempting to replicate their success - we can all dream. First of all to be clear, I do not put myself in this category - my report card would probably be marked 'could do better' - so all that follows is what I THINK it takes to become successful. It will probably help if you have an interest in personal finance. You will possibly be motivated to read some of the excellent books on the market and follow some of the online investing blogs to learn from the experience of others and expand your knowledge. There is a great deal written about the world of investing so its probably important to have the ability to sort the wheat from the chaff so to speak. It is not necessary to know everything, or even a lot but it will probably be crucial to your chances of success to understand some of the basics. and finally, an awareness of your emotional make up combined with the ability to make long term rational decisions. Maybe this final aspect is going to mean the difference between long term success and falling at the second hurdle for many investors. As some with longer term memories will know from the turmoil of 2008/09, the markets can be extremely volatile which evokes equally extreme emotions even for the most hardened and experienced investors. I well remember the feelings of late November 2008 when it felt as if the end of capitalism as we know it was just around the corner. I also recall the prolonged market falls of 2000 - 2003 including the accounting scandals involving Enron and Worldcom and, of course, the terrorist attack on the twin towers of the WTC on 9/11. 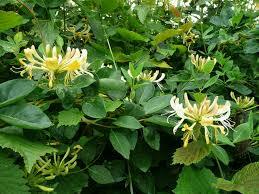 It is very easy to make rash judgements and decisions at such times which may prove detrimental in the long run. Of course, its not only market volatility which can lead to poor decision-making. Ben Carlson at Wealth of Common Sense believes "..the majority of people are hard wired to make poor decisions. Many times it’s not their fault, but human nature that causes these poor decisions. If you aren’t aware of your inherent cognitive biases you’ll repeat the same mistakes over and over again". It is said that one definition of insanity is to keep doing the same thing in the same way over and over and expect a different outcome each time - its not going to happen! 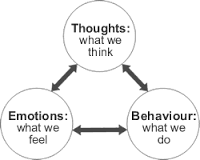 I believe emotions are a factor with most investors whether they like to admit to it or not. However, with a little more discipline and a simple but solid long term plan or strategy, it should be possible to neutralise some of these effects. I often drop into the conversations on some of the personal finance boards such as The Motley Fool - it seems to me that many of the threads end up turning a very simple opening post into the most lengthy and complex response imaginable. When we first begin our investing journey - purchase our first share, investment trust or index tracker - its only natural to keep a close eye on how its getting on. However, the more we view our portfolio, the more disappointed we will become. This is because, as a species, we appear to be affected far more by a loss than we get pleasure or ‘feel good’ factor from a share price gain. Although over the longer term, the markets have risen - however on a day to day basis its probably 50:50 whether the markets will be up or down. Therefore if you monitor your portfolio on a daily basis, you are more likely to become unhappy or disillusioned because the cumulative effect of the downers will far outweigh the lesser pleasures of the uppers. 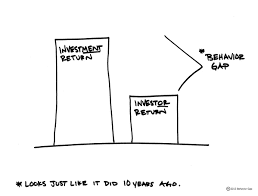 This effect was explained in more detail by Bargain Value and an excellent post looking at positive and negative emotional balances in relation to investing. So, turning back to the original question - what does it take to be successful? Obviously, success will be subjective and each person will probably have their own concept of what it means for themselves. 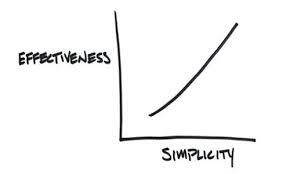 I think it will always help, wherever possible to keep thinks simple and to take out as much ‘human’ element from the investing process and implement an automatic strategy. To achieve this will involve avoiding too much complexity as this will inevitably require more interventions - the simpler the plan, the easier it should be to automate and leave well alone. Lump sum or monthly direct debit (or both), sipp or isa (or both) and that’s just about it - job done, review in 5 or 10 years time! While the investor is busy getting on with life, the people at Vanguard will ensure the fund is rebalanced on a regular basis. This means the investor will know their investment will always remain exposed to the risk they selected at the start. Its true, there will be some managed funds which will provide better returns over time but selecting those funds or managers at the start of a 10, 20 or 30 year investing period will be tricky and is a low percentage gamble. These are some of my thoughts on what it may take to become a success. Feel free to share your own in the comments section below - you never know, it could just be a light bulb moment for other readers! Are we be better off investing in a pension or an ISA? It may not make any difference if some of the proposals suggested in the latest consultation Green Paper on pensions tax relief are adopted. At the heart of the current pension system is a simple principle - the contributions you make to a pension during your working life are tax free, and you pay tax on them when you come to take your pension - except you have the option to take 25% as a tax-free lump sum. In his budget speech earlier this week, the Chancellor suggested pensions could be treated like ISAs, whereby taxed money goes in and there is no tax on the way out. There have been quite a few changes for people to take on board in the past year or so. In the Spring Budget 2015, the government announced changes to the ISA rules which allow you to withdraw and replace money from your cash ISA intra-year without this replacement counting towards you annual ISA subscription limit. This policy will also cover cash held in stocks and shares ISAs. These changes will come into force from 6 April 2016. Last year, pension freedom reforms were introduced and took effect from this April and have given people control over what happens when they access their pension. The introduction to the workplace auto enrolment is trying ensure that more and more people have the opportunity to build up savings for their retirement. The introduction of this workplace pension reform now means that more than 5 million people are newly saving into a private pension via their place of work pension schemes. By 2020, the government expects to see 8 to 9 million people newly saving or saving more, generating £11bn a year more in workplace pension saving. 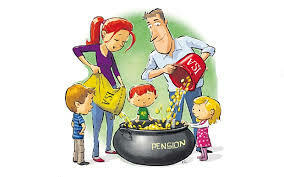 Over the course of the last Parliament, the coalition government made several changes to limit the amount of tax-privileged pension saving that individuals can make, either personally or by their employer, through changes to the lifetime and annual allowances. The lifetime allowance has been reduced from £1.5m in 2006 to currently £1m. 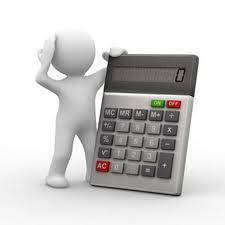 The annual allowance has been significantly reduced from £255,000 in 2010 to currently £40,000. Even allowing for these less generous provisions, the treasury have estimated that the gross cost of pensions tax relief remains significant. Including relief on both income tax and NI contributions, the government gave up nearly £50bn in 2013-14. A sound case could easily be made that the best method of achieving the government’s aim of fostering a strong culture of saving is to retain the current system, particularly as it is deeply embedded in many processes used by employers and pension providers. However, the government is also interested in exploring options for how the system of pensions tax could be reformed to strengthen the incentive to save. While the current system is simple in principle, there is evidence that some pension savers are unaware or not motivated by the tax benefits associated with paying into a pension. In particular, research suggests that for lower income groups tax relief is not an important determinant in people’s decision to save. Some are unaware that they will be required to pay tax on their pension when they come to retire. It has been suggested that a fundamental reform of the system so that pension contributions are taxed upfront (a system like ISAs), and then topped up by the government, may allow individuals to better understand the benefits of contributing to their pension as the government’s contribution might be more transparent, and they would no longer need to consider the future tax implications of their pension choices or work out how much their pension pot is worth given their expected tax rate in retirement. Personally, I take the view there have been too many changes to pensions over the past decade. These are supposed to be savings plans for the long term and I am wondering how people are expected to make plans for their long-term future when the goalposts are moved and the system is changed and tinkered with year on year. Obviously, it is important for individuals to take responsibility for their future so any initiative to remove barriers or introduce incentives for younger workers to save are to be welcomed. However, I am sceptical that moving the tax breaks from on the way in to on the way out is going to make a whole heap of difference to most savers. Maybe it would be possible to introduce a simple, ultra low cost, diversified index fund and used as a default option for workplace pensions, this would help to restore some much needed confidence in the system. Responses to this consultation should be received by 30 September 2015. This is the first Conservative budget for 20 years after they surprised a lot of commentators by winning a majority at the last general election in May. The main priority for the Chancellor is to get to grips with annual deficit which is adding to the national debt year on year. Some progress was made to reduce the annual spend over the previous 5 years of the coalition but the debt has risen to over £1.5 trillion, so clearly still a lot to be done, which will be unpopular with some sectors of the population. The problems of government overspending are long standing and the strategy is to turn things around so that spending is reduced and we get back to living within our means. In particular, the per capita welfare state spending has doubled over the past 50 yrs as a percentage of GDP. Figures from the ONS reveal that in 1961, people received benefits worth £1,100, equivalent to 7.6% of an average household’s income. By 2013/14 that amount had risen to over £6,000, equivalent to 17% of household income. Some of the largest increases in the past decade have been in tax credits and housing benefit which is why these have become a natural target for the Chancellor to find savings. The main changes announced were therefore that tax credits and Universal Credit would in future be restricted to two children, after April 2017. The income threshold for tax credits will be reduced from £6,420 to £3,850. Alongside further cuts to corporation tax rates for all businesses, the government will reform and simplify the system of dividend taxation, while maintaining the extensive tax reliefs for investments held in ISAs and pensions. From April 2016 the government will remove the Dividend Tax Credit and replace it with a new tax-free Dividend Allowance of £5,000 a year for all taxpayers. This will ensure that ordinary investors with smaller portfolios and modest dividend income will see no change in their tax liability – and some will pay less tax. Combined with the increases the government has made to the personal allowance and the introduction of the Personal Savings Allowance, from April 2016 individuals will be able to receive up to £17,000 of income per annum tax-free, and separately invest up to £15,240 per annum through an ISA tax-free. Following the big changes announced last year regarding pension freedom, there was little mention of any significant changes in this year’s budget. The only measure mentioned was that annual tax relief on pension contributions to be limited to £10,000 a year. The Chancellor did announce that a consultation green paper would be introduced about future reforms and in particular, how to best encourage younger people to save for the future. At first glance, it looks like the budget changes will be relatively neutral for me - like everyone, I will benefit from the increase in personal allowances from £10,600 to £11,000 next April. 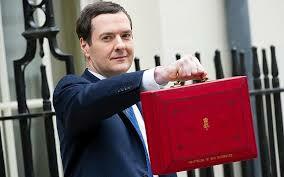 Feel free to leave a comment if the budget has affected your finances or future planning. Following on from my end of 2014 review, I have just reviewed my portfolios - sipp drawdown and ISA - for the past 6m to the end of June. There have been quite a few changes including the roll-out of the new pension freedoms in April and my revised investing strategy which has seen a move towards low cost index funds and ETFs which have replaced some individual shares and a couple of investment trusts. In May we had the general election and the surprise outcome of a Conservative majority which confounded many commentators. Earlier this month saw the launch of my new ebook ‘DIY Simple Investing’. I wrote a guest post for the Monevator site which went out earlier in the week. On the markets, the FTSE 100 started the year at 6,566, by March/April it broke through new highs above 7,100 and then went down over the past few weeks and ended the 6m period at 6,521 - a drop of -0.7% - if we factor in say 1.8% for dividends paid, this will give a figure of 1.1% total return for the half year. The main story has been the uncertainty surrounding Greece and the possibility of leaving the Eurozone. The FTSE 100 is down nearly 7% in the past couple of weeks alone and it looks like the turbulence may continue for some time. Of course, the UK listed market makes up less than 10% of the global market place so focussing on the FTSE 100 for example can give a distorted picture. The total return on world equity markets in GBP terms for the 6m to end June was 2.2%. As I concluded in my recent review of investment strategy, the individual shares have proved to be the weakest link of my portfolio in recent years and I have decided therefore to reduce my holdings and focus more on the low cost index funds & ETFs. It is therefore somewhat ironic, but I guess inevitable, that my shares portfolio has outperformed my collectives and fixed interest over the past 6 months. Disposals include Imperial Tobacco with a gain of 10%, Reckitt & Benckiser also +10%, DS Smith +16%, Vimto maker Nichols +30%, Charles Stanley +15%, Diageo +7% and Sainsbury +7%. Of the shares that remain in my portfolio, all have been affected by the recent sell-off over the past few days. However, a few have provided a reasonable return - Berkeley 41%, Sky 17%, Next 11% and Tesco 13%. The total return from this sector was 10.2% which includes dividend income received of 1.9%. Most have lost quite a bit of momentum in the past week or two - the better performances have been provided by the larger trusts - City of London 5.4% and Edinburgh 3.9% and a solid half year from Finsbury Growth & Income trust up 7.8%. Once again the best performance was provided by smaller companies specialist Aberforth with a total return of 13.0%. Two year ago I purchased the Vanguard All World High Yield ETF to use as a benchmark for the performance of my actively managed investment trust portfolio. The total return on this tracker over the past 6 months has been -0.7% This will be a handy benchmark against which to assess the equity part of my portfolio as a whole. In March, I added the Vanguard UK Equity Income fund to my portfolio. The fund gives investors access to a broad range of around 140 dividend-paying securities from across the FTSE 350, while reducing the risk of being overly invested in a small number of high-paying shares or particular industry sectors by limiting the percentage of the index invested in any one company or industry. I have just received my first half-yearly dividend of 397.56p per unit which represent an uplift of 7.4% on the equivalent payment in 2014. In May, I replaced 3 of my investment trusts with the lower charging Vanguard Asia Pacific ETF - this should save me ~1.0% in charges each year. It has just paid a quarterly distribution of 14.17p per share. The final addition has been Vanguard’s LifeStrategy60 which was purchased in my new ISA with Halifax Share Dealing in early June. The total return for my collectives has been just 0.8% including income of 2.1%. As ever, the PIBS and fixed interest sector has provided a steady and predictable income of 3.1% however capital values have declined by -0.8% leaving a total return of just 2.4% for the half-year. The returns have been boosted by my individual shares which makes a welcome change. However, these now represent a smaller percentage of my portfolio so the impact on the combined portfolio is not so high. Total return for the entire portfolio of shares, investment trusts, index funds and fixed income is 3.6% which includes income of 2.4%. Over recent years, I have had very good returns from my investments so I am expecting some downturn at some point - maybe this year or next, I don’t really know. I am hoping my allocation to bonds and fixed interest will help to cushion the reversion and help me to ride out the volatility. As ever, I would be interested to hear how others have done over the past 6 months - leave a comment if you keep track of your portfolio.